Visit us to claim your instant prize! See Official Rules for complete details. No purchase or test drive necessary. Purchase or test drive will not increase chances of winning. Only at participating AL, VA, TX, MD, NC, SC, OK, FL, UT and OH dealerships. Starts 3-22-19. Ends 3-23-19. Must be at least 21 & reside in any state above or neighboring state. Void elsewhere & where prohibited. FL residents can only play and enter at a participating FL dealership. Instant Prizes: 130,676 Charger Cable Sets, (1:2 odds); ARV $2.75 ea; 43,559 Caps, (1:5) ARV $7.00 ea; 43,559 Tumblers, (1:5) ARV $9.25 ea. Sweepstakes prizes as shown; odds depend on number of eligible entries. TV ARV: $1,799.99. Free Gas awarded as $2,600 in gift cards. ARV of all prizes: $1,072,593.00. Prizes awarded “as is.” Terms apply to use of gift cards. Winners not permitted to transfer, assign or substitute prize or redeem prize for cash. Prize can be substituted by Sponsor for item of comparable or greater value. Winners are responsible for all federal, state and local taxes, if any. Winners may be required to sign & return a Statement of Compliance, Release, and Indemnity to receive prize. Noncompliance with rules will result in disqualification. For prizes valued at $600.00 or more, winner must complete a W-9 form. A 1099-MISC form will then be issued. Limit 1 entry/1 game card/1 instant prize/1 sweepstakes prize per person. Game card must be verified. Game card void if not obtained from authorized/legitimate channels, or if, in whole or in part, illegible, incomplete, damaged, irregular, altered, counterfeit, produced in error or obtained via fraud or theft. By participating, participant agrees to release & hold Sponsor & its employees, officers, directors, shareholders, agents, parent companies, affiliates, subsidiaries, advertising, promotion, fulfillment agencies and legal advisors (collectively, "Released Parties") harmless from all losses, damages, rights, claims & actions arising from/in connection with participation in Sweepstakes or use of any prize. See Official Rules here, or in dealerships for full details on how to play, all prizes, how to claim prizes & alternate method of entry. Game cards available, while supplies last. Sweepstakes shall be interpreted in accordance with CA laws. For the Sweepstakes winners’ names, send a SASE to MMNA 2019-76 Drive and Win Sweepstakes Winners List, 600 Main Street, #300, Tonawanda, NY 14151-0888. 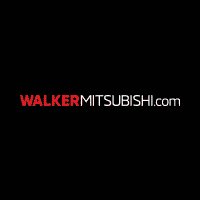 Sponsor: Mitsubishi Motors NA, 6400 Katella Ave., Cypress, CA 90630.